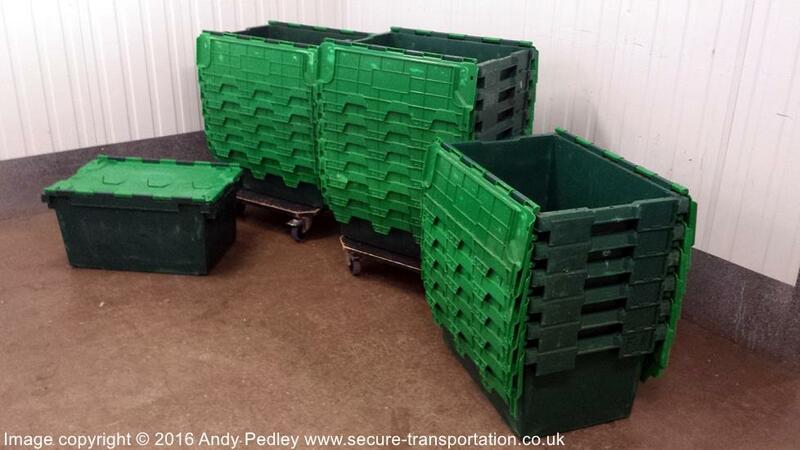 Secure Transportation Ltd have a range of packing materials and equipment from bespoke flight cases to tape and bubble wrap to ensure all your goods are transported safely from A to B. Used primarily for server moves, server relocations, de-racking and re-racking network routers and decommissioning and recommissioning of PC equipment. For complete protection of blade servers, routers and any other valuable and delicate 19" equipment we have custom made 19" shock mount server flight cases manufactured by 3D Flight Cases. Front rack ears to back rack rail - 80.00 cm / 31.49"
Flight case sleeve back - 3.00 cm / 1.18"
Flight case lid back - 9.00 cm / 3.54"
Flight case sleeve front - 10.00 cm / 3.93"
Flight case lid front - 9.00 cm / 3.54"
Depth front rail to back lid ~ 92.00 cm / 36.22"
12 tuned anti-vibration mounts rated at 400kg load to maximise shock resistance and block common trucking vibration frequencies during transit. Anti-vibration frames are designed to deliver optimum protection and versatility during transportation by road, air, rail or sea. Suspended anti-vibration frames are welded tubular steel for extra rigidity and longevity. Typical uses are for de-racking and re-racking network routers, blade servers etc. ​See examples of our projects here. 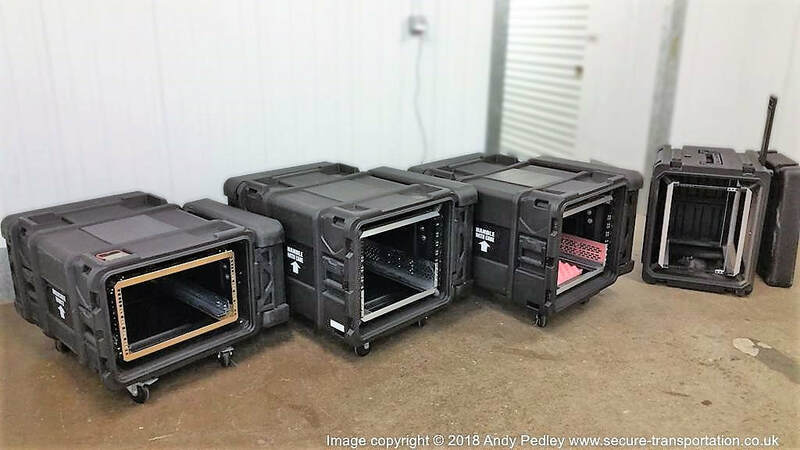 For complete protection of servers and any other valuable and delicate 19" equipment we have off the shelf military spec 19" Roto Shockmount Rack Cases manufactured by SKB Cases. Front rack ears to back rack rail - 74.30 cm / 29.25"
Flight case sleeve each end - 2.00 cm / 0.78"
Flight case lids each end - 11.43 cm / 4.50"
Depth front rail to back lid ~ 85.73 cm / 33.75"
Front rack ears to back rack rail - 50.80 cm / 20.00"
Flight case lids each end - 8.26 cm / 3.25"
Depth front rail to back lid ~ 59.06 cm / 23.25"
Front rack ears to back rack rail - 60.96 cm / 24.00"
Depth front rail to back lid ~ 72.39 cm / 28.50"
For complete protection of servers and any other valuable and delicate 19" equipment we have these bespoke made MOD / NATO military spec 19" anti-Shock impact absorbing foam flight cases. 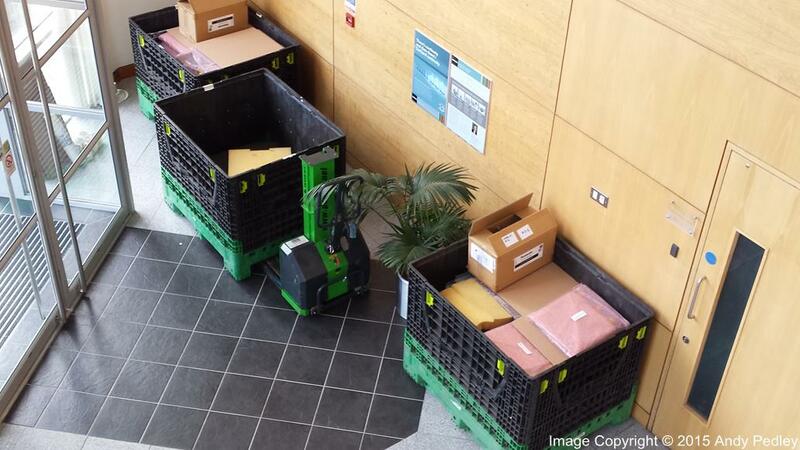 Load calculated to provide impact and vibration isolation. Front rack ears to back rack rail - 75.5 cm / 29.72"
Flight case sleeve rear end only - 6.00 cm / 2.36"
Flight case lids each end - 6.00 cm / 2.36"
Depth front rail to back lid ~ 87.5 cm / 34.45"
Front rack ears to back rack rail - 50.50 cm / 20"
Flight case sleeve each end - 4.00 cm / 1.57"
Depth front rail to back lid ~ 60.00 cm / 23.62"
Typical uses are for the decommissioning and recommissioning of PC equipment, small office moves and boxing of individual desks etc.